Let us each take good care as this material is hard to tell and hard to hear. Some of the disrespectful responses are beyond belief. This is history in the making. It is instructive especially for the young women and men watching this, giving hope to those who have survived that they will be heard. It also offers a cautionary tale to abusers. Time is up. Let us believe women as they come forward to speak truth to power. 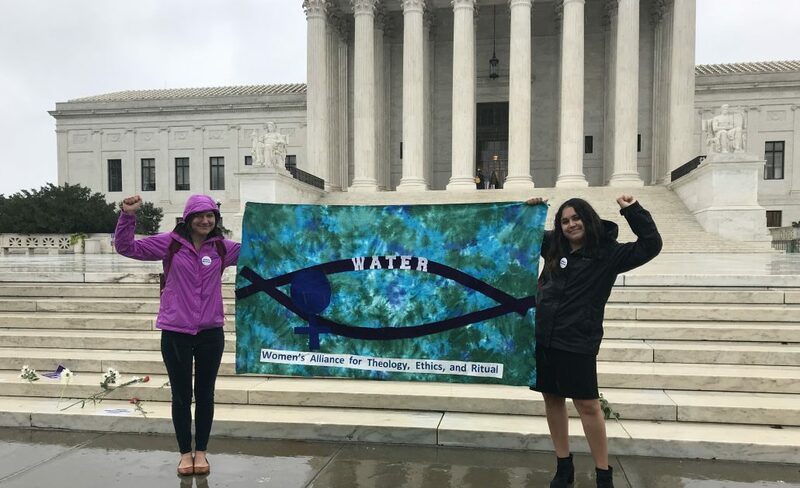 https://www.waterwomensalliance.org/wp-content/uploads/IMG_6117-e1538490445834.jpeg 2328 3820 waterstaff http://www.waterwomensalliance.org/wp-content/uploads/Screen-Shot-2018-11-01-at-12.15.34-PM.png waterstaff2018-10-02 09:25:272018-10-02 09:27:41We at WATER are watching the Dr. Christine Blasey Ford testimony in union with all of you. It is riveting and impressive to see a survivor tell her story with such conviction, candor, and courage. We believe her! We believe women!